The office you choose for your business has a direct impact on your employees, your clients, and of course your bottom line. But getting this incredibly important decision wrong could have devastating consequences. Picking the ideal work environment is a complex, time-consuming process. 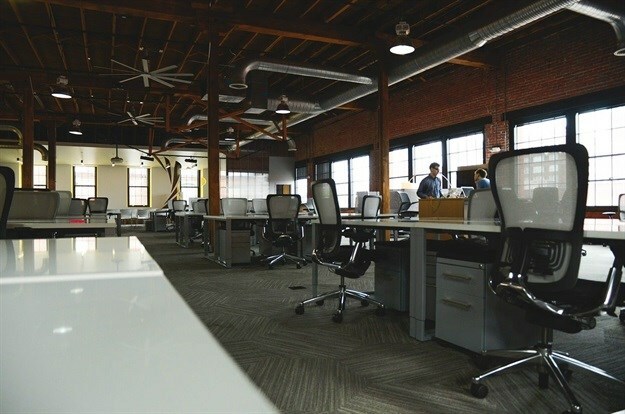 But if you can avoid these six common mistakes, there’s a good chance that your next office will deliver the commercial benefits you’re looking for. It’s important to think about the future when leasing an office. If you’re signing a medium or long-term deal, your options could be very limited if your business grows but your space is inflexible. You might end up having to lease a second office, which is not usually a cost-effective way to do business, and can undermine team cohesion and culture. Only when you’ve carried out a thorough inspection should you consider signing a lease. If you want to make your employees happy, it’s critical that you look for offices that were thoughtfully designed to engage modern workers. Good design, for example, includes good lighting, ergonomically friendly furniture and tailor-made areas for different work functions. But cheaper doesn’t always mean better. And, in many cases, choosing the least expensive option can end up costing you a lot more over the long run — particularly when you think about the impact a less-than-ideal office can have on employee engagement. When choosing an office, there are many factors to consider: how close the space is to public transportation, the image of the building, the safety of a neighbourhood, the availability of nearby top talent, what amenities like gyms are available, and more. Overlook any of them and you may end up regretting your decision. Very few businesses these days keep their employees tied to their desks all day. Productive teams get opportunities to relax in leisure or communal areas. And group working is usually more effective in breakout areas, away from desks. Consider how your business operates and how your employees go about their daily duties. While desk space is important, there are other open areas that your business will probably need for meetings, collaboration, and inspiration. And they will need quiet areas too for focused work. If you don’t haggle over the price or ask questions about incentives, odds are you won’t be offered the best deal possible. Go into the process with knowledge of the local office rental market and don’t be afraid to push back a bit. Linda Trim, director at FutureSpace, a co-working joint venture between Investec Property and workplace specialists Giant Leap.